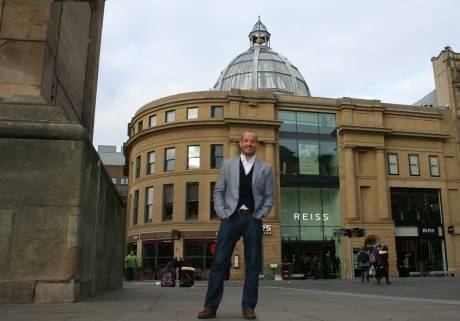 The New World Trading Company are set to arrive in Newcastle city centre this December with the highly-anticipated opening of The Botanist. Set across the top two floors of the Monument Mall development, the impressive 8,000sq ft bar and restaurant venue will create up to 100 new jobs in the region. The Newcastle venue will be the fifth Botanist to open and will mark the company’s expansion into the North East, alongside its four existing operations in Leeds, Manchester, Chester and Alderley Edge. Prior to its launch on 15 December, an investment of £75,000 will be dedicated to staff training alone – a factor which has seen its parent group Living Ventures, named 9th in The Sunday Times Top 100 Companies to Work For in 2013. Sarah Stewart, chief executive at NewcastleGateshead Initiative said: “The bar and restaurant scene is enjoying a real boom on both sides of the River Tyne and is a clear sign we’re emerging from the recession. The Botanist will boast nine bar stations, an extensive drinks menu serving over 50 different bottled beers and ciders, cask ales and 48 cocktails – plus unrivalled views of the city from its terrace area. Food is simple and fun, and comes from the deli, rotisserie and barbeque and is available all day, every day. Live music will be up-beat and energetic with daily evening gigs and lazy Sunday afternoon sessions thrown in for good measure. The soundtrack will be a variation of new and old, enthusiastically delivered live on piano, guitar and vocals.